Blockchain and its potential use cases surfaced many ideas of innovation in the field of finance, education, payment, etc. During the 2017 ICO frenzy, an enormous number of new companies emerged to get hold of the business opportunity to make money. With many companies promising delivery of products, many got wiped out along the way. Tokenization of tangible assets in blockchain became a trend in the year 2018, but many projects failed due to regulatory compliance. Brickblock is one of the first few projects who attained regulatory compliance, has a working product and institutional backing. Brickblock aims to disrupt the biggest asset class, Real Estate, which is a multi-trillion-dollar industry. 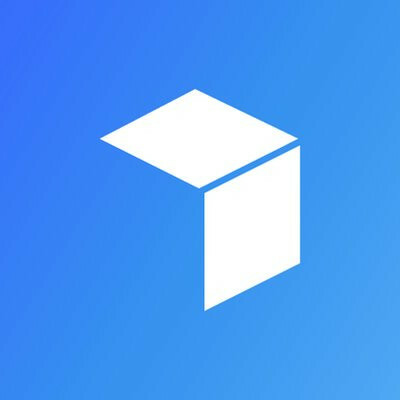 In brief, Brickblock is a smart contract platform that leverages on blockchain and provides access for users to invest cryptocurrency in tokenized real-world assets such as real estate, exchange-traded funds (ETFs), and coin funds anywhere in the world. 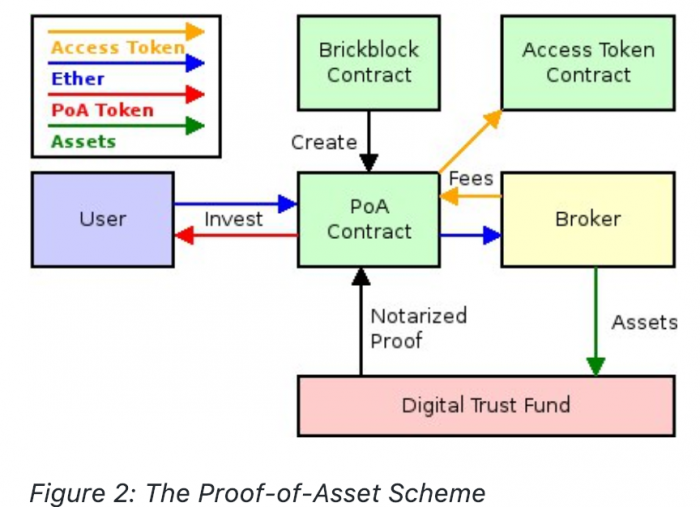 Each digitalized asset is issued with its own unique token called a Proof-of-Asset (PoA) which legally entitles owners to the profits of the underlying asset. Their mission is to make the world of investing easier, cheaper, and more transparent by leveraging on blockchain technology. 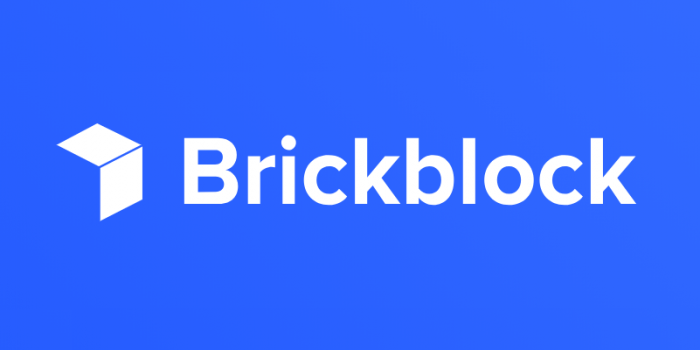 Brickblock uses smart contracts and blockchain to eliminate high fees, minimum investment amounts, geographic restrictions and counterparty risks associated with traditional investment models. Brickblock tokens (BBK) are the native tokens of the platform which are considered as security tokens as it allows generation of dividends once activated. Learn more about security tokens here. It is worth to mention the financial institutions and real estate giants that are partnered with Brickblock. Many of these partners show the strength and sophistication of Brickblock’s technology and legal framework. 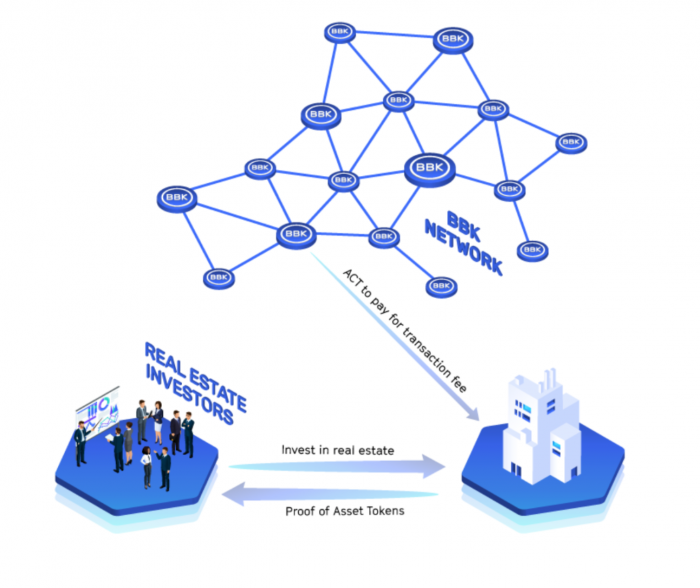 The partnership between Brickblock Ltd and London Stock exchange-listed JTC group (a global and publicly listed provider of fund, corporate, and private wealth services to institutional & private clients) is to facilitate real estate investments in cooperation with Brickblock’s real estate clients. JTC is also responsible for holding investors’ funds in escrow and clearing eligible investors and will provide administration services to the structure of our clients’ offerings. For the detailed partnership, please refer here. In May, Brickblock secured €5 million in Series A funding from Finch Capital, a venture capital firm with a proven track record of accelerating fintech businesses around the world, with a focus on the European and Asian markets. ConsenSys Diligence, a blockchain leader & an audit partner of Brickblock, has audited their smart contract ecosystem and the final audit report, after reviewing more than 5000 lines of code, concludes that no critical or major issues were identified. All medium and minor issues have already been addressed either through code changes or by explaining why certain trade-offs were necessary. The goal of the audit was to verify that the smart contract system is secure, resilient, and working according to its specifications. In October of 2018, Brickblock secured a partnership with real estate management firm Peakside Capital to launch the world’s first tokenized real estate fund. 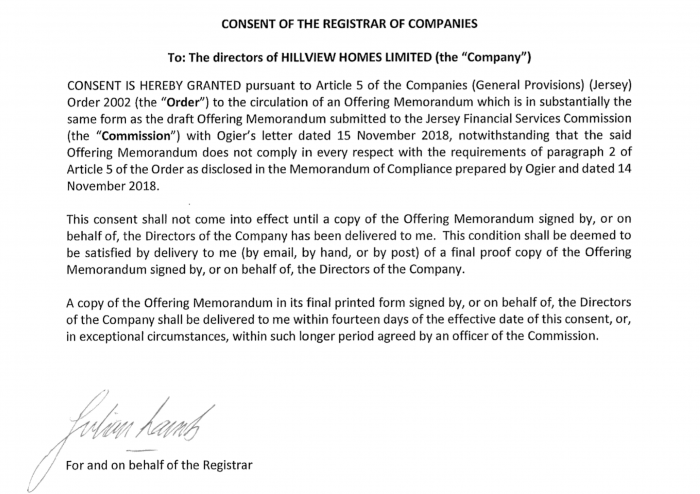 Brickblock has also received regulatory consent for the first client offering, Holt Hill by Hillview Homes Ltd. Brickblock then made a regulatory breakthrough as they were able to proceed with the issuance, which they've worked diligently on to obtain for more than a year and is fundamental for accelerating their business case. The move is fundamental for accelerating the business case and with that foundation they are able to refine their product and offer our clients, like Peakside Capital, the tools they need to digitize their investment processes. Read the full article here. Brickblock also announced a partnership with solarisBank AG, a tech platform with a banking license, to launch a state-of-the-art digital investor clearing process. This partnership is essential for AML/KYC purposes. Read the full article here. Brickblock has been extremely active in roadshows and conferences all around the globe. Highlights among the 20+ events we visited include the MIPIM quintet (Cannes, Paris, London, New York City, Hong Kong), Forbes 30 Under 30 in Boston (check out their interview with RT here), Expo Real in Munich, TechCrunch Disrupt Berlin, and Devcon 4 in Prague. Brickblock’s ecosystem contains three tokens: Brickblock tokens (BBK), Access tokens (ACT), and Proof-of-Asset tokens (PoA). Full detailed article regarding token structure can be found here. Brickblock tokens (BBK) are ERC-20 standard and is the native tokens of the platform. They are also tradeable on secondary markets (Bitmart & Idex) and can be activated to automatically generate Access tokens (ACT). BBK tokens are required for the generation of new ACT, which is used to pay for all Brickblock transaction fees. ACT tokens are also ERC-20 standard which can be traded for ETH (1000 ACT will be equal to the value of 1 ETH). Brickblock's platform charges a fee for every transaction and this fee is paid in Access Tokens (ACT). BBK holders who have activated their tokens receive the buy order and proportionate number of ACT. Users can then can then use their ACT to pay for transaction fees or trade them. The BBK that generated the ACT continues to generate ACT for future transactions (the BBK are not burned). Example: A building is fully funded for 20,000 ETH. Approximately 100 ETH worth of ACT is automatically generated by activated BBK tokens to pay for the transaction fee. The token holders whose tokens generated the ACT will receive a buy order from the smart contract. They can now redeem their ACT and choose whether to use it to pay for transactions or trade it to someone who needs to pay for transactions. Every asset sold through Brickblock’s smart contract platform issues its own unique Proof-of-Asset (PoA) tokens. PoA tokens are sold during an asset’s funding period and represent all the economic benefits of ownership. That means PoA token holders are legally entitled to the profits of the underlying asset. Example: A building is sold for 20,000 ETH. 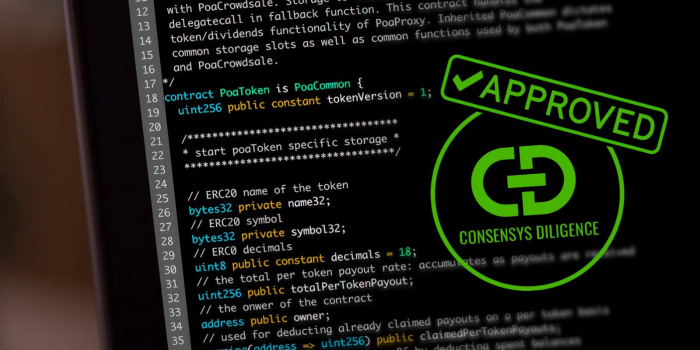 The smart contract deploys and issues PoA tokens to investors proportionate to the amount they invested. PoA tokens will produce passive income for whoever holds them, which is periodically paid out in ETH. PoA tokens can be bought/sold/traded. Ultimately, PoA tokens are the product; they are the key to creating a cheaper, more efficient, and more inclusive world of investing. Immutability — once an investor buys tokens, nobody can “erase” the ownership. Accessibility — tokens can be accessed from any place in a world, 24/7, via e.g. a smartphone app. Divisibility — tokens hold a promise of greater liquidity which increases the expected value from trade and eliminates the need for minimum investments. Cost-effective — tokens eliminate middlemen, which often limit investment accessibility by e.g. restricting investments to accredited investors only, demanding high fees and requiring access to stock-trading accounts. Transparent — tokens eliminate asymmetry of information present during the transfer of ownership. Investing cryptocurrency in tokenized real estate hedges against the risk of holding a highly volatile asset, which makes Brickblock platform one of a kind. This allows investors to further diversify their portfolio of holding tokens backed by real-world assets. Brickblock is one of the legitimate investment instruments you can find in the crypto space as of today. With institutional backing, ConsenSys Diligence’s audit, security token, BBK is one to look out for. Even if we’re in the midst of a “crypto winter”, Brickblock continues to grow and outpace other projects. If you’re in the blockchain space for the long run, real estate is truly one of the most stable investments you can make, and Brickblock is the best option for you. Once the world realizes the potential of the blockchain, Brickblock will be the leading pioneer of real estate investing.